Autism Education Gilbert: What’s On Your Menu? 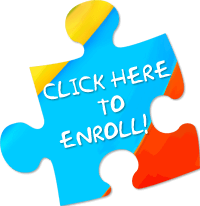 AUTISM ACADEMY – The Autism Academy isn’t only focused on the education for children with autism, we also want to share information about autism education. In today’s blog, we’ll go over the correlation between autism and the diet. Diet is just as important for you as it is for children with autism. Feeding children with autism can raise additional challenges that affect healthy living. 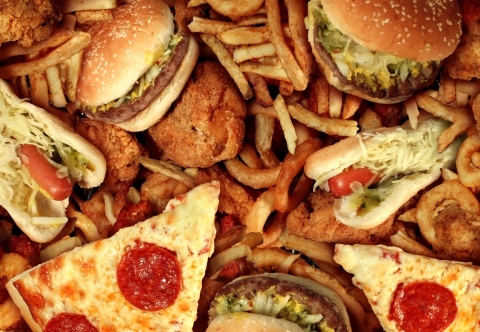 Pizza, cheeseburgers, deep-fried chicken and a host of sugarcoated desserts make dieting difficult for most Americans. Eating healthy is a suitable subject for everyone, especially children with autism. Autism Spectrum Disorder (ASD) is now one in every 68 children in America and April is Autism Awareness Month. The state of Arizona has a higher rate of children being diagnosed than the national average, with an estimate of 1 in 66 kids diagnosed. According to the Autism Academy, ASD refers to a range of conditions characterized by challenges with social skills, repetitive behaviors, speech, and nonverbal communication. People with autism also share unique strengths and differences. The term “spectrum” reflects the wide variation in challenges and strengths possessed by each person with autism. Autism’s most obvious signs tend to appear between the ages of two to three. Some developmental delays associated with autism can be identified and addressed even earlier. In some cases, autism can be diagnosed as early as 18 months. Learning that your child has ASD can be devastating to parents. They often feel upset, scared, concerned, and alone, to name a few common emotions. Autism isn’t the same for any two children. Some children have high-functioning autism; others suffer from a more severe form of the neurobehavioral condition. Treatments vary from drug therapy to behavioral programs, but parents help by providing children with proper diets. Studies have shown that a proper diet can help improve the quality of life of children with autism. By taking the time to educate yourself about autism, you can help your child have a better life. Different therapies, including gluten and casein elimination diets, have been associated with the treatment of ASD. Can autism be cured through dietary interventions? There’s no substantiated proof of that. For years, there have been indications that children with autism have impaired gut function. Many of these children suffer from issues of irritable bowel syndrome, frequent diarrhea, constipation, and multiple food intolerances. A number of studies have confirmed a gut to brain connection that could help explain and treat autism. Based on this connection, parents, and professionals have looked to dietary changes for help in treating autism. Some children with autism appear to respond to a gluten-free diet, but not all experts agree that dietary changes will improve symptoms or produce positive results. Many positive effects from dietary changes reported in the popular press are based on unreliable evidence. However, some children with autism are unquestionably at risk for nutritional deficiencies related to selective eating or behavioral issues. When nutritional interventions such as casein or gluten elimination are implemented, the foods available become even more limited. Poor dieting could potentially affect growth and development. The Autism Academy provides education to parents of children with autism. With parent classes, support, and general guidance available to help families, you’re able to incorporate all of the ingredients for healthy living. Continue reading our blogs for more education on autism and how you can ensure your child has the highest quality of life possible.